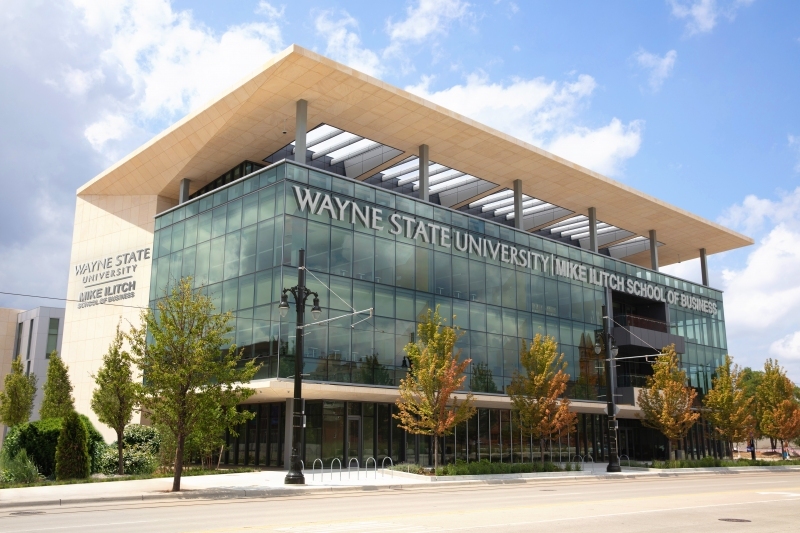 Wayne State University’s graduate global supply chain management program is among the nation’s top 25, according to Gartner, a leading industry research company that releases rankings every other year. Ranked No. 17, WSU is a new entrant alongside the University of Minnesota, the University of Southern California and the University of Washington. Gartner’s 2018 Top 25 Supply Chain University Rankings highlight North American programs with the best curricula, real-world experience and industry reputations. Programs are ranked on program scope, industry value and program size, with data gathered through surveys and interviews of industry professionals and academics. Offered through the Mike Ilitch School of Business, Wayne State’s global supply chain management program prepares students with in-depth knowledge about global challenges and the critical links in the value chain of goods. The concentration covers subjects such as strategic procurement, enterprise resource planning systems and quality management. Courses include ERP systems & business integration, the theory of constraints, supply chain decision tools, quality management, manufacturing planning and control, managing risks in automotive supply chains and more. The Ilitch School also offers an executive master of science in automotive supply chain management in addition to the M.B.A. concentration in global supply chain management that has grown to roughly 200 students—the largest graduate concentration in the business school. The executive master’s program provides students in automotive and related industries with the theoretical understanding and applied practical knowledge and skills to be well-informed, creative professionals who have leading-edge knowledge in managing complex manufacturing supply chains. The curriculum is designed to address the specific needs of auto industry, covering finance, information systems, purchasing, production control, lean management, constraints management, sustainability, risk management, logistics, and quality control. Through its partnerships and curriculum, the business school has established itself as a leader in global supply chain management. The annual General Motors-Wayne State University Supply Chain Case Competition draws teams from 25 top universities across the country and around the world, including China, Taiwan, Brazil, Mexico and Poland. The 2018 competition will mark its eighth year. To gain firsthand global experience, WSU supply chain students can choose to study abroad through unique, automotive-focused programs in China, Brazil, Central Europe and Italy. In addition to its top-ranked M.B.A. program, the Ilitch School’s undergraduate degree program in global supply chain management was also ranked among the top 25 in the country, according to Gartner.